Hi there! 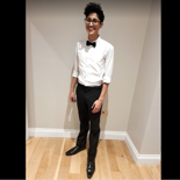 My name is Dylan and I`m currently a second year Dentistry student at King`s College London. I tutor students in Maths, Chemistry, Biology up to a levels. I can also carry out interview skills/ help with personal statement for Dentistry if required. Having just been through the process and achieved A*A*A at a levels I aim to pass my knowledge and help to others so that they can achieve their full potential. My teaching style involves revisiting weak areas where you may be struggling, and by focusing your response to exam style questions, to get you on track to the grades you are looking for. I am a patient, reliable and friendly teacher who will guide and support you through your course. Feel free to message me if you have any questions.